If you do business in Poland you might be obliged to register in freshly established Waste Database due to recent legislative changes in Poland. Whilst the 5 first positions are rather self-explanatory, the latter 2 items may require further explanation. Introducing packaged products to the market. (d) the intra-Community acquisition of packaged products. Summing up the above, if you perform any of the above listed activities you are obliged to enter the register. 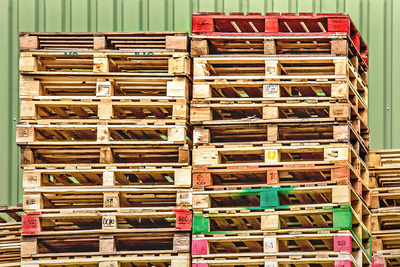 Moreover, if you fall under 7 – you are obliged to calculate and cover product fee (on an annual basis) or ensure recovery/recycling levels of introduced packaging. The obligation applies to companies, who only have VAT registration in Poland (i.e. they do not have to be established in Poland). Please note that the category of packaged products is interpreted so broadly, that even products, which arrive on pallets to Poland might fall under the obligation. Entities that are obliged to enter the waste register should in principle also change their invoice template. Meaning that in addition to the VAT registration number, the BDO number should be inserted on invoices as well. The BDO number is generated upon the registration to the waster register. Please keep in mind that the registration obligation was to be fulfilled until 24 July 2018. In the future fine may amount to PLN 1 Million (approx. EUR 250’000). It is not known when authorities will start imposing penalties that why urgent action would be highly recommended. pwc will be happy to support you, both in registration for the waste management tax as well as in calculation of the annual fee that has to be paid to the relevant Polish authorities (if applicable). Categories: Tax Knowledge | Tags: BDO, Poland, product fee, VAT, VAT registration number | Permalink.